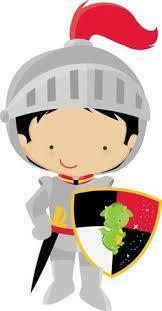 Just in time for St. George's Day, in year 1 we learned all about 'Knights and Maidens'. We started our topic by imitating and then innovating the 'defeating a monster' story, 'Saint George and the Dragon'. The children loved using talk 4 writing to learn the story and enjoyed coming up with gruesome words to describe their own monsters! 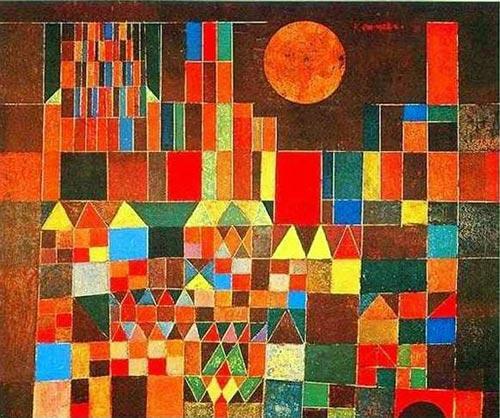 In our art and dt lessons, we looked at the work of Paul Klee an d enjoyed imitating his famous picture, 'Castle and Sun'. Pop into our practical area to take a look! We learned about the significance of different animals and colours used on coats of arms and shields and used our school houses colours, Nelson, Raleigh, Chichester and Drake to print around them. Currently, we are building our own 3d castles, ensuring that we include all the key parts of a castle. In our topic work, we are learning about what life was like in a castle, why castles were built and about significant people in history like William the Conqueror. We are also finding out about what life was like in the past and even learning some 'olde' language! Here is a taster of our plans for this half term . Our topic is called Fantastic Forests! Diary writing My Perfect half term ! To identify and name a variety of common wild and garden plants. What are the elements of this story ? 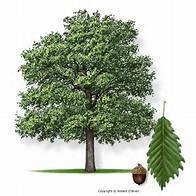 To group a variety of common flowering plants including trees. Identify the beginning ,warning , middle and end of this story . Describe a forest setting . Telling the time to the Hour. Telling the time ti the Half hour. Using Next, Before and After. Writing my own story based on Little Red Riding Hood and publishing it . Here is a taster of our plans for this half term. Our topic is called It’s a Child’s Life and here is an overview of what we will be getting up to! Please support your child with their learning, just ask if you would like further ideas. We aim to continue to send out a short piece of homework alternating between English and Maths each week ( as well as weekly spellings and reading) on Friday to be returned by the next Friday or sooner if possible. Identifying and Naming and Describing and Comparing. ICT How to plan and give instructions – turtle /programmable toys. History -How does the class think the lives of children have changed over time? PHSE Know the school and classroom rules and how they help them. Link to stories about toys. Sliders and levers/ scissor skills/wheels and axels/properties of materials . P.E : Principle Skill – travel ‘towards’ and ‘away from’ apparatus. Travelling, high, low and narrow. 2.Writing numbers to 40. 3.Counting in tens and ones. 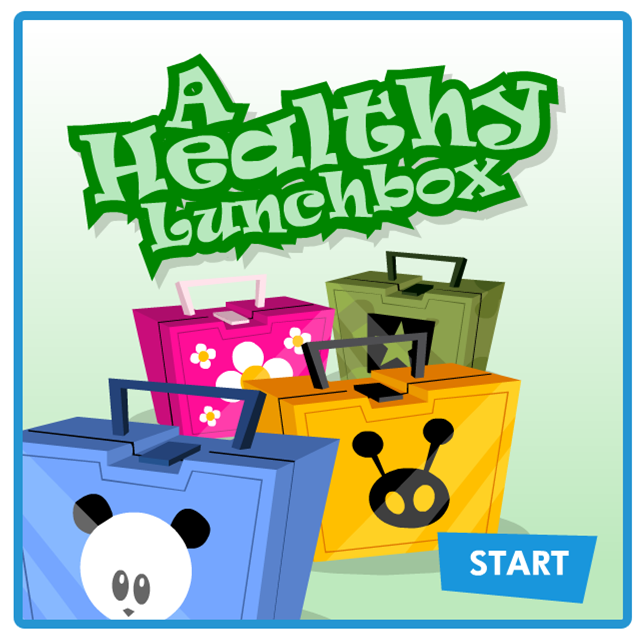 LI: To identify and name a variety of everyday materials. To spell words containing each of the 40 + phonemes already taught.
. 1.Finding how much more. LI: To describe the simple physical properties of a variety of everyday materials. LI: To compare and group together a variety of everyday materials depending on their properties. To read aloud their writing clearly enough to be heard by their peers and the teacher. To write sentences to form short narratives. Re-read what they have written to check it makes sense. Develop pleasure in reading by becoming very familiar with key stories. To add prefixes and suffixes using ‘ing’, ‘ed’, ‘er’ and ‘est’ where no change is needed in the spelling of root words. Here is a taster of our plans for this half term . 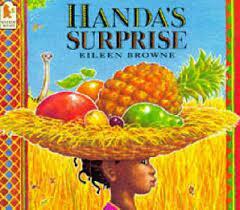 Our topic is called Handa’s Surprise and here is an overview of what we will be getting up to ! Please support your child with their learning , just ask if you would like further ideas. We aim to continue to send out a short piece of homework alternating between English and Maths each week ( as well as weekly spellings and reading) each Friday to be returned by the next Friday or sooner if possible. Handa’s Surprise Innovation stage Can we change the story or parts of it ? Talking about friendship Would you like a friend like Handa ? Handa’s Surprise Inventionstage Can we make up our own journey stories ? Talking about Christmas-How do you celebrate ? Talking about Christmas- Do all children celebrate ? Our topic is called Amazing Me! and this is an overview of what we will be getting up to! Who looks after me at school ? Who makes me feel safe? Books about healthy eating including Eat your peas ! 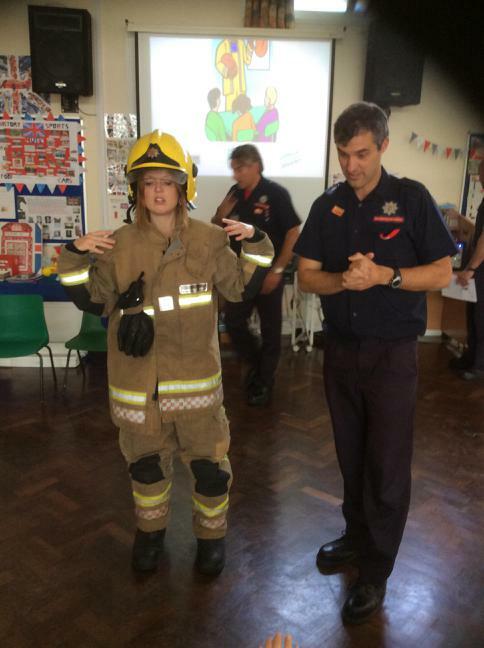 The Year 1 Children thoroughly enjoyed their visit from Warwickshire Fire and Rescue Service, not least when the teachers dressed up in all the fire-fighting equipment! The children also learned lots of serious messages, such as not to play with matches and also how best to escape a room filled with smoke. A special thank you to the fire-fighters who gave their time to help us. Did you guess the teacher in the photo in the newsletter?